On Monday 27th Feb I will be giving a talk and demonstration on Magnet Healing at the Happiness Centre in Ilkley. Why not come along to find out if the power in the little golden gems I work with will be of benefit to you. 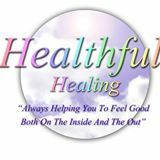 Got an ache or a pain and are fed up of taking pain killers, come and see just what the magnetic healing energy is capable of.